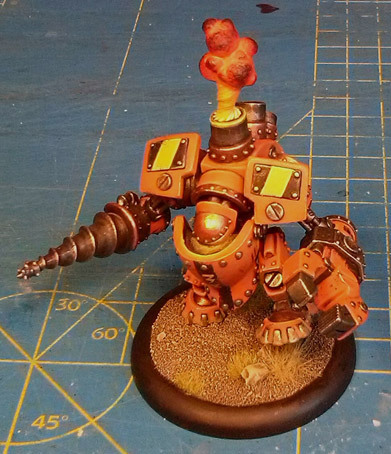 When starting out with my warmachine dwarves I wanted to try out some new painting and conversion tricks to add to my repertoir. When I think steampunk I immediately think about big bellowing smoke coming from engines. And because the dwarf models are (appropriately) small and stocky I thought some smoke plumes would give the models some more movement and height. But I didn’t find enough variation to my taste and it could easily get a bit expensive. So I tried to make my own from greenstuff. 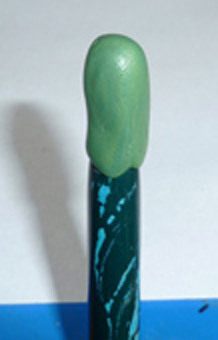 First get an old brush and put a tube like shape of greenstuff on the handle end. 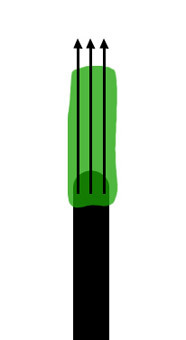 This will become the base of the smoke plume so make the greenstuff tube roughly twice the size as you want your base to be. To make it easier to work with greenstuff use some water on your fingers to make it less sticky while handling it. Now score some lines in the length of the greenstuff all around. Best to use a hobby knife or needle for this. Don’t worry if this messes up the shape of the greenstuff somewhat. And again you can use some water on your tools to make it less sticky to work with. Now gently grab the top and turn it around a bit. You’ll probably have to try it several times to get the right shape and swirl of grooves you want. When you’re happy with the result let the green-stuff cure properly. When the greenstuff is cured your can cut of the top of the base. This is the messy part you grabbed with your fingers so no worries here about messing up the general shape. Just be careful to make the top big enough so you can add more greenstuff later on without it being too fiddly to handle. Now you simply need a lot of greenstuff globes in all kinds of shapes and sizes. Best to make a batch of these before you start with your smoke plumes. When you work a lot with greenstuff you inevitably got loads of leftover bits after a project. This includes other materials you use like Milliput or greystuff. As long as it cures to a solid shape. 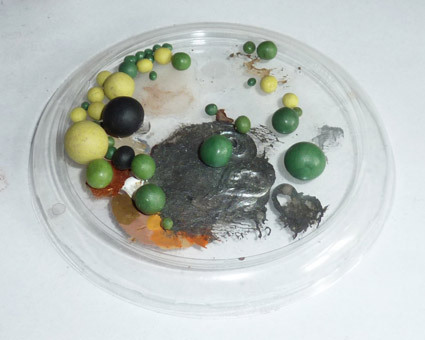 Simply makes little globes of these unused materials and put them aside for later. You’ll have a steady supply for making smoke plumes in no-time. 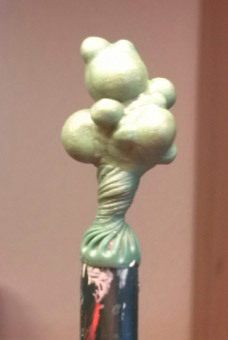 Now glue on a few bigger globes of greenstuff on the base. When that’s dry glue some smaller globes all over these bigger ones. For variation you can cut smaller globes in halve and glue these on. You can’t really get wrong with this. Just randomly add globes until your satisfied with the general shape. When that’s dry you can fill in the connections between the globes to make it look more like a whole. Simply roll out very thin sausages of greenstuff and wrap them around where the globes touch each other. 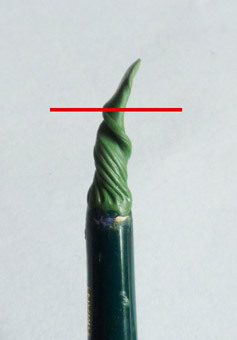 Then shape it with your fingers or any sculpting tools you prefer to make the transitions more smoother. 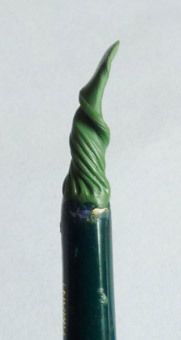 A good tip is to get some rubbing alcohol and gently brush the rough areas of greenstuff. The rubbing alcohol will soften up the greenstuff again so you can smoothen out the result with a brush without leaving any fingerprints or scrape marks from your tools. 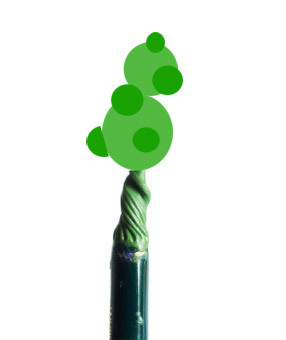 The rubbing alcohol and dissolved greenstuff will quickly ruin a brush for any other painting work if you don’t carefully clean the brush after use. To be sure always use an old brush for this. 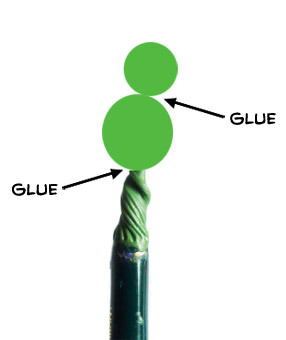 This is a good tip for working with greenstuff in general. So get some rubbing alcohol if you regularly use greenstuff for conversions or simply filling gaps. You can get the stuff at most art stores. When you are satisfied with the result and it’s properly cured you can cut of the smoke plume from the old brush. I hope this tutorial can help you become more creative with greenstuff. It can really add a special touch to models like warjacks. Making these smoke plumes can get a bit time-consuming though so it might be best to keep it reserved for centerpiece models. 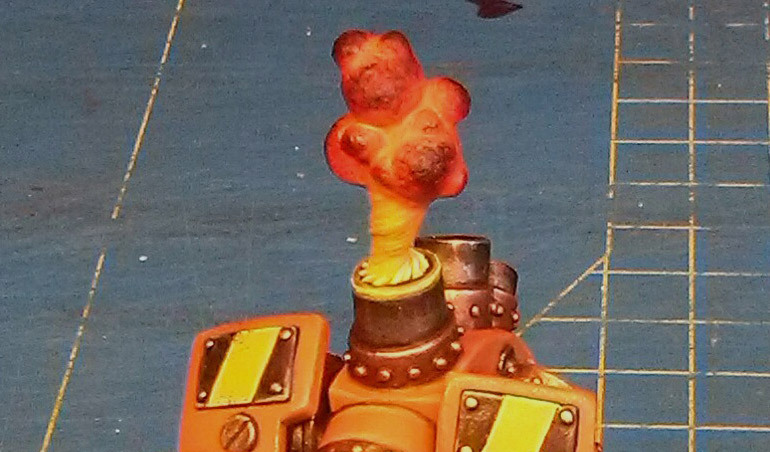 I found that out after making smoke plumes for most of my warjacks and seeing my progress grind to a slow crawl because of all the extra work. Not to mention it makes transporting your models a little bit trickier. I’m probably only going to use it for my Siege Crawler eventually. Too much smoking can be bad for you…Who knew?